According to a new nationwide report, pedestrian deaths have increased 35% over the last decade while driver deaths have decreased. Likely causes: poor road design, more driving, and more deadly SUVs. Meanwhile, California is among a number of states that have submitted official plans to the federal government establishing a goal for the number of pedestrian fatalities next year that’s actually higher than last year’s number. Translation: the state is planning for more pedestrians to die. The area south of Eureka where a driver struck and killed a man this week has been particularly deadly for pedestrians in recent years. Next week’s agenda includes approval of funding for both the completion of the Humboldt Bay Trail and the first phase of the Annie and Mary Trail, as well as “vehicle, bicycle and pedestrian improvements” on Redwood Drive in Garberville. Meanwhile, other local projects including the 101 Safety Corridor, Eureka 4th Street, and Dr. Fine (Del Norte County) bridge replacement projects appear on the Commission’s “watch list” because they are considered at high risk for cost overruns. 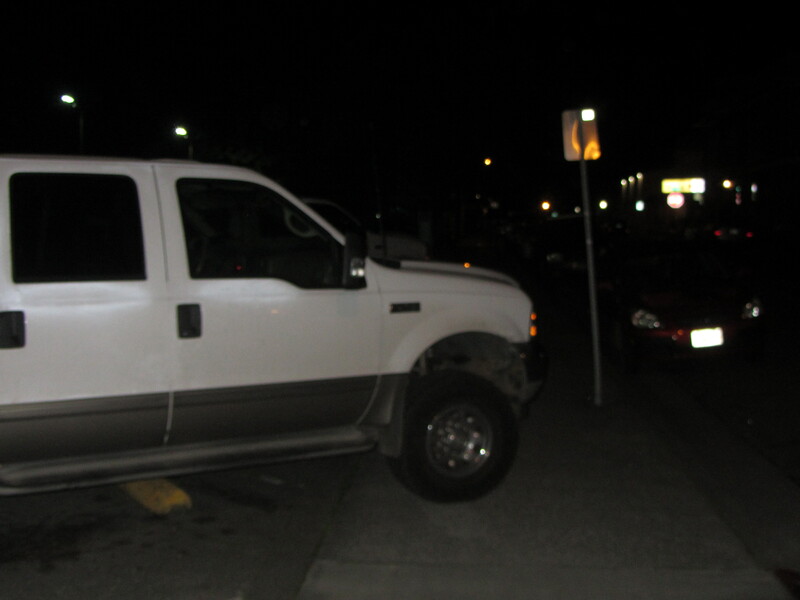 This week, a pickup truck pulls so far through a parking space that it blocks almost the entire sidewalk on I Street in Arcata. Send your pictures of bike lane or sidewalk obstructions to colin@transportationpriorities.org! At least 3 of the 11 voting seats on the Commission are up for re-appointment in the next several months. Is it possible the new governor will break with tradition and appoint members who don’t represent construction industry interests? Uber & Lyft, of course.